This July, over a hundred young leaders and innovative problem solvers from all over the continent will meet in Accra-Ghana for the 3rd edition of IHAV Conference focusing on the Sustainable Development Goal 8: “Decent Work And Economic Growth”. - break cultural diversity and political barriers through teamwork and regional collaborations to tackle issues that are common to our communities and region. As a delegate, you will meet a powerful network of young people and established professionals, skill up with tools for success and have the opportunity to receive support to implement your big ideas which will also provide income for yourself and the community. You will be engaged in project work, roundtable discussions and group presentations. You will leave as an empowered youth who will go back to make a change in your societies, countries and regions, and empower other too. Not to forget, have a lot of fun in showing the world what young people can do to make an impact. Below is a summary of daily activities during the conference. 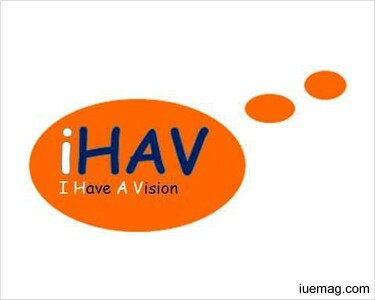 The vision of IHAV Foundation to improve and increase the African youth’s productivity and creativity, reduce youth unemployment and build more knowledgeable and confident global citizens. The mission is to train and mentor youth visionaries and leaders, and to raise intrapreneurs and entrepreneurs by providing entrepreneurial nurturing environments, platforms, and forums where young Africans can dialogue freely, share ideas, start new initiatives and develop new projects. Register for the upcoming IHAV Conference 2017 and team up with like-minded young professionals, entrepreneurs, students and graduates from around the continent as we engage, dialogue, strategize, unlock our potentials and come up with concrete actions that will provide decent work for us all and also contribute to the economic rise of Africa. This life-changing and rewarding event will take place in Accra, Ghana from 26th to 29th July 2017. The iUeMagazine team is delighted to work with IHAV Conference 2017 as Online Media Partners & is expected to bring Unlimited Inspiration for all readers from the proceedings of this event.